DMT Dia-Flat lapping plate is designed to effortlessly flatten abrasive stones such as: oilstones, waterstones and Arkansas stones. The lapping plate's incomparable flatness (hand certified flat to +/- 0.0005 per inch), combined with DMT's Diamond Hardcoat Technology, guarantees precise results every time! The Dia-Flat is easy-to-use thanks to it having a larger surface area (254mm x 102mm x 10mm) than any other lapping plate on the market. Extra Extra Coarse (120 Micron). 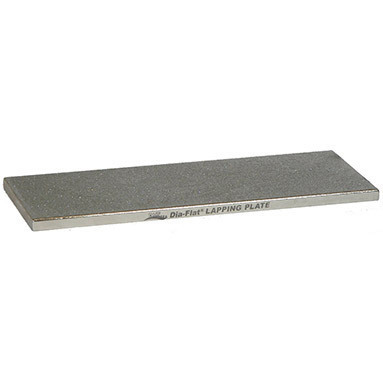 The lapping plate's durable construction ensures years of dependable performance and will outlast any other lapping stone on the market.